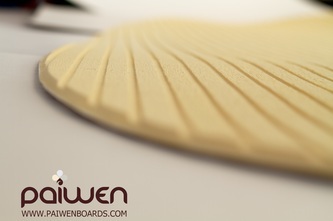 All Paiwen Complete Packages include the Deckpad installed. We designed this deckpad in a way as to not cover your whole board, like traditional paddleboard deckpads. Instead, we made sure the deckpad covers only the areas that are necessary; Thereby keeping your board looking beautiful.